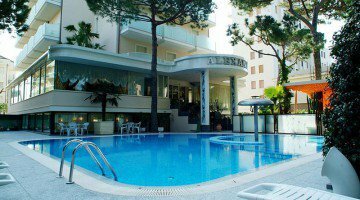 The 4-star Hotel Alexander in Milano Marittima features a swimming pool, a wellness center, and services for children and the disabled. It offers guests parking, WI-FI connection throughout the entire hotel, local cuisine with availability of vegan dishes and for celiacs. Admits pets of all sizes. 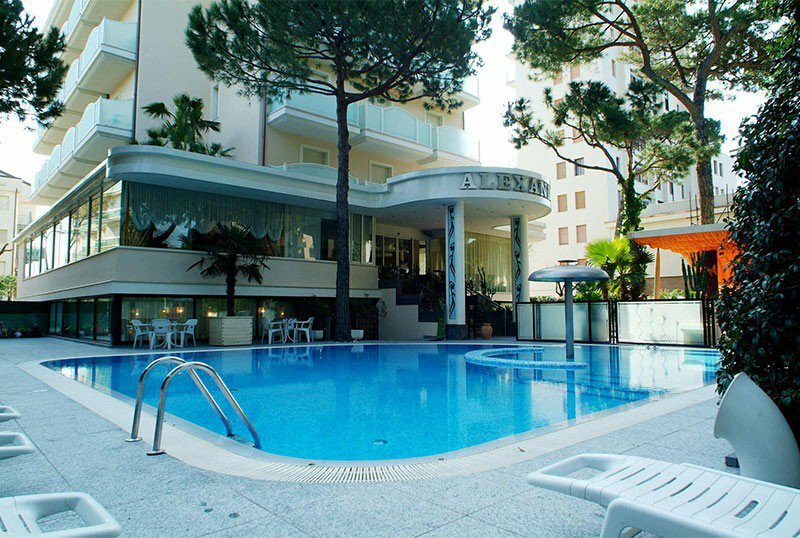 The Hotel Alexander is located in Milano Marittima a couple of minutes walk from the beach and close to the center. They can be double, triple, quadruple and communicating. All rooms have large balconies, air conditioning, WI-FI, TV, minibar, complimentary toiletries, telephone, safe, bathroom with shower and hairdryer. CLASSIC: with sea view and traditional decor. ELEGANCE: room furnished in elegant and modern style. FAMILY: Family and connecting rooms are available. Garden, swimming pool, hydromassage, sun terrace, spa on the roof terrace with sea view, lift, beach towel available, entertainment and gala evenings, laundry service for a fee. The hotel is equipped for cyclists. PARKING: internal payment, free outside. CONVENTIONS: beach, organized excursions, tennis courts, golf course. SERVICES FOR DISABLED: entrance with lift platform, lift for disabled people, room with disabled maneuvering space, accessible shower and with chair. BREAKFAST: rich buffet with savory dishes and desserts of own production also for coeliacs. LUNCH AND DINNER: the chef offers à la carte menus with a wide choice of dishes based on meat and fish, followed by a buffet of vegetables and appetizers. VARIATIONS: vegan, vegetarian and celiac menus. OTHER: every week the hotel offers a themed evening with a buffet of typical products and a candlelit gala dinner with live music. Once a week an aperitif is set up in the garden. In the hotel: children's pool supervised by lifeguard also for swimming lessons, outdoor playground area, baby / mini club, live entertainment, baby sitter during meal times. Pediatrician on request and for a fee. At meals: baby menu, baby food, homogenized, flexible hours, high chairs, bibs, color napkins and crockery. In the outdoor garden there is a heated swimming pool equipped with a hydromassage jet and a mushroom with a waterfall. The surrounding area is equipped with sun loungers. The aesthetic center of the structure, located on the terrace and made of natural materials such as wood and stone, offers two hydromassages, Kneipp path, chromium and aromatherapy, bio sauna, herbal tea corner and massage area. 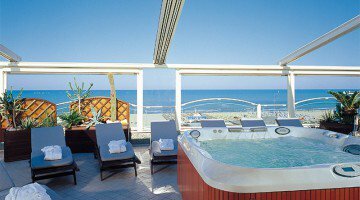 The hotel has an agreement with the Globus Beach n. 255 and Giorgio Malusi n. 258. The first offers playgrounds, restaurant, baby park, nursery, disabled access. Bagno Malusi has a children's playground area, entertainment, bar, nursery, sports fields, restaurant. The price is per day per person in full board starting from, for min. Three days. TOURIST TAX: € 2.00 per day per person in the months of April, May and September; € 2.50 in June, July and August (except for children under 14 for a maximum of 7 consecutive nights). - In the event of cancellation after this deadline, or no show, the deposit will be retained as compensation.